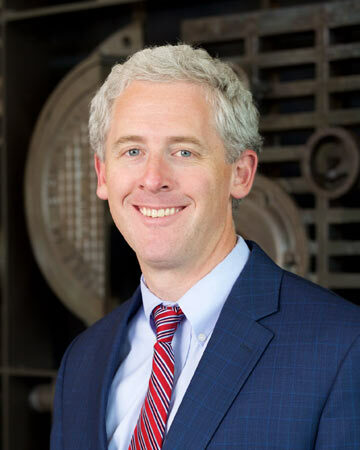 After graduating from the University of Alabama School of Law in 2003, Todd began working for a large, full-service firm based Birmingham, Alabama. In January 2018 he co-founded Barze Taylor Noles Lowther LLC. Todd’s practice focuses on three areas: insurance coverage, product liability defense, and commercial litigation. He has experience representing numerous industrial and consumer product manufacturers, including companies that build refuse collection bodies, balers, compactors, lawn mowers, winches, tractor trailers, cranes, engines, PLCs, communication equipment, and other products. Todd also represents insurance companies from Germany, London, and the United States in insurance coverage and bad faith litigation. At his prior firm, Todd served as the Chair of the firm’s insurance practice group. Through the years, Todd has also gained expertise negotiating and drafting a wide variety of contracts on behalf of manufacturing clients. Todd has successfully tried cases to verdict, as a plaintiff and as a defendant, in high stakes litigation across several states in the southeastern United States. He has obtained multiple seven- and eight-figure jury verdicts, as a commercial plaintiff. He has also obtained summary judgments and trial defense verdicts in serious personal injury litigation and other commercial disputes. Product Liability: Obtained summary judgment on behalf of a heavy equipment manufacturer in a wrongful death case. Summary judgment was granted, in large part, based on a motion to exclude a well-known plaintiff’s expert from testifying about alternative designs. Beam v. McNeilus Truck and Manuf., 697 F. Supp. 2d 1267 (N.D. Ala. 2010). Commercial litigation: Obtained a $2.09 million jury verdict for a corporate client in a commercial dispute tried to a jury in federal court in Tennessee. Following an appeal to the U.S. Court of Appeals for the Sixth Circuit (which appeal was argued by Todd), he tried the case a second time and obtained a $4.711 million jury verdict for our client. Product Liability: Obtained summary judgment on behalf of a heavy equipment manufacturer in a product liability case involving two individuals seriously injured when the equipment they were driving turned over. Commercial Litigation: Obtained $15 million verdict on behalf of a building products manufacturer, after a jury trial in St. Louis, Missouri. Insurance: Obtained summary judgment regarding insurance coverage owed under an additional insured endorsement arising out of a multi-million-dollar settlement in a wrongful death lawsuit. Insurance: Represent European and domestic insurance companies in declaratory judgment, breach of contract, and bad faith lawsuits, and provide coverage opinions to insurance carriers to help keep them out of lawsuits.